For many it would seem like a dream come true. Two beautiful women, correction, smoking hot women, who are seemingly obsessed with the latest technology, sci-fi and online gaming and, oh, they’re in to you, really in to you. What the hell could go wrong? Well, like they say, if something’s too good to be true, it probably is. From Maxthon, who makes, in their own words, “the best browser you’ve never heard of” for windows, mac, android and the like, comes Hacker Girlfriend, an irreverent take on what happens when a gamer’s dream come true becomes a nightmare. 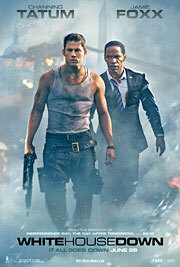 With the exception of the 1988 comedy “Feds” (and to a certain degree, the “Charlie’s Angels” films), the buddy cop movie has been an exclusively male-dominated genre. 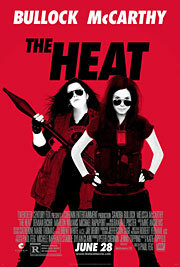 It’s only a matter of time before Hollywood finally gets its act together and delivers a great female-centric action comedy, but “The Heat” is not that film. Though fans of Paul Feig’s “Bridesmaids” will likely enjoy his latest R-rated romp with Melissa McCarthy, anyone that wasn’t already sick and tired of the actress definitely will be after sitting through two hours of her annoyingly boorish and over-the-top brand of humor. “Identity Thief” should have been the final nail in the coffin of America’s love affair with McCarthy, but if her irritating performance in “The Heat” doesn’t put an end to that reign, then the moviegoing public deserves more lowbrow comedies just like it. Sandra Bullock stars as FBI agent Sarah Ashburn, an arrogant overachiever who’s up for a big promotion in her department. But while she’s the perfect candidate on paper, Sarah still hasn’t earned the respect of her peers, whom she frequently humiliates during busts. To prove that she’s a team player and the right person for the job, Sarah’s boss (Demian Bichir) sends her to Boston, where she must partner up with local detective Shannon Mullins (McCarthy) to bring down a ruthless drug lord. Unfortunately, no one actually knows what the guy looks like, but Sarah has much bigger problems in the form of the uncouth Mullins, whose sloppy demeanor and unconventional methods clash with her straight-laced, by-the-books personality.